Are you an avid blog reader? You can use a small application to make it easier, called RSS Reader. It gets all new posts from your favorite blogs. However, Chuck Maddox pointed out that you can also decide to update your webbrowser to Mozilla Firefox. This browser has some standard functionality for blogs and RSS feeds. Check Chuck’s article on how this works. My professional job is system engineer, and I am mainly focussed on the Microsoft Windows 2000/2003 platform. I am very fond about these Microsoft operating systems and one could qualify me as pro-Microsoft. However, now that I tried Mozilla Firefox as a webbrowser (and believe me, I was very sceptic before I tried), I don’t want to go back to Internet Explorer by Microsoft. At least not before they implement a few Firefox features 🙂 Besides this, and this is mainly based on hand-on experience, Firefox is quite fast. In 32 days after the release, over 10 million copies were downloaded! 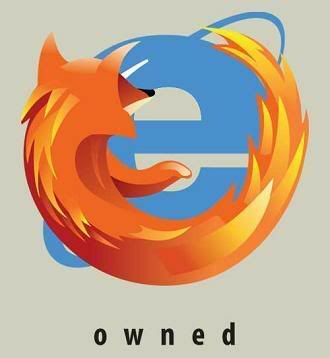 The internetbrowser marketshare of Firefox is being estimated at 7,35% at the moment.